Sunrise, FL – It’s the 1st Florida Panthers home game of 2019! The Cats host the Columbus Blue Jackets, who are currently 7th in the Eastern Conference. Coming into tonight’s game, the Cats were only nine points out of the final wild-card spot, and 10 points out of the final divisional playoff spot. They closed out the 2018 part of the season winning six out of their last nine games, taking care of business. 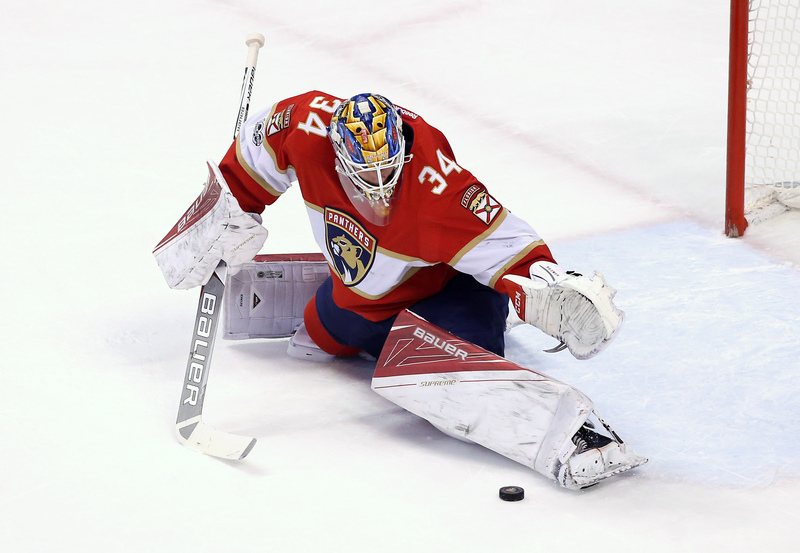 It was a stark contrast from how the Panthers started their 2018-19 campaign. Last season, the Panthers finished one-point out of the final playoff spot, starting their hot streak in February. If they can keep the positive momentum, and start winning from the month of January, they should be able to accomplish what they could not last year and qualify for the playoffs. There’s too much talent on this squad for them to be on the outside of the playoffs looking in. With that said, entering this game, record-wise, at 17-16-6, they’re pretty much exactly where they were last season (17-17-5) at this time of year before the corner was turned. There are some positives, though. Florida ranks 5th in home power-play percentage (26.4%), and Keith Yandle earned his 3rd All-Star selection this season, as well as notching his 500th career NHL point tonight. Be that as it may, Florida couldn’t get it done tonight. They dropped their 2nd-straight game, winless in 2019 thus far. More on that in a second. If you happen to catch my Instagram pregame reports, you’ll notice I always mention the same guys: “Mike Hoffman, the team’s leading goal scorer, and Jonathan Huberdeau, the leader in assists…”, blah blah blah. The point is, more guys need to step up (or skate up?) and make significant impacts. The defense seems to be a downhill ski for opposing teams. Well, the Panthers need someone to be that abominable snowman from that 90’s computer game, SkiFree. The Cats gave up an early goal tonight, a disturbing trend for the team. However, they were able to take a 2-1 lead by the end of the 1st period. Their 1st goal gave Yandle his 500th career NHL point. No wonder homeboy is an All-Star! Columbus tied it in the 2nd and took the lead in the 3rd. With less than three minutes remaining in the game, your boy Aaron Ekblad to tie it up and send it to overtime. The energy in the arena was rippling throughout, but it would be shortlived, as Columbus and Seth Jones, who’s got the most regular-season OT goals among defensemen since 2013-14, made it 4-3, delivering a final blow, only 18 seconds into OT, giving the Panthers their 7th overtime loss this season. Only the Colorado Avalanche have more overtime losses. In reference to their play this season and tonight, Coach Bob Boughner said, “We had a lot of great parts, a lot of great pushes, but the one big mistake keeps haunting us and we got to get better at that”. He’s not referring to a specific aspect of the game that the Panthers aren’t executing. What he means is that they play well, but there’s always a breakdown somewhere that the other team capitalizes off of. It sounds like there’s a focus issue with the team, and that directly reflects on the head coach. Next up, the Panthers take off on a five-game road trip, starting off in Pittsburg, who owns the 3rd best goal differential in the Eastern Conference. The Cats return home on the 18th, hosting the 2nd place Toronto Maple Leafs, and it doesn’t get in easier after that.